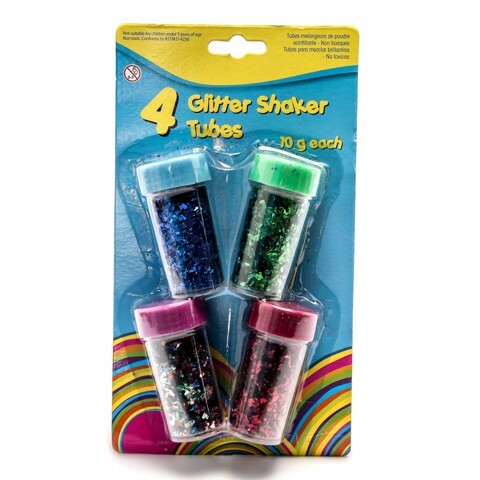 Glitter Shakers 10G 4Pk. Tube: 6cm x 3.4cm. 4 Colours Per Pack: Blue l Green l Red l Multi. Plastic Bottle Body | PP Lid | White Plastic Screw Top | Glitter 15C Thick | PVC. 9.5G Packaging: Blister Card.